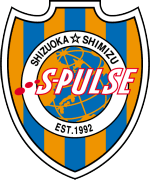 Shimizu S-Pulse is the J. League Division 1 soccer club Japan Airlines has been sponsoring since 1992. JAL continued to support the team when they were in some kind of financial trouble. Now the table has turned and JAL is bankrupt. As a way to thank JAL for their long time support, the soccer club has decided to continue to put JAL's logo on the left sleeve of their 2010 jersey and they are doing this for free! The soccer team is currently negotiating a new contract with JAL. JAL was the main sponsor of the team between 1992 and 2005. There was a big JAL logo in the middle of their jersey (old logo, new logo). You can see pictures from different seasons on the team's English website. JAL has been replaced by Suzuyo since 2006 and the JAL logo was therefore moved to the sleeve. I am not sure if JAL has any extra money to sponsor the team right now. But if they are giving JAL a deal that they can't resist (like free advertising for now? ), they JAL probably will continue their sponsorship. 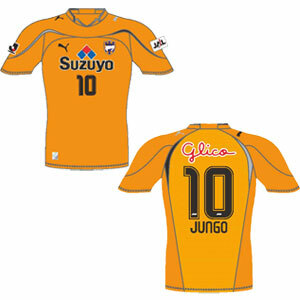 In case they don't, you can buy this last jersey with JAL logo on Shimizu S-Pulse shopping site. It is really nice of them to support JAL in this difficult time. Hey if JAL wants to advertise on my blog, I will do it for free too. I am not getting that much from those annoying ads anyways...doesn't look like it will be even enough to cover a domain registration LOL.